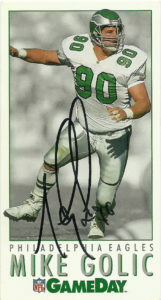 Micheal Barrow played for the Miami Hurricanes in college. 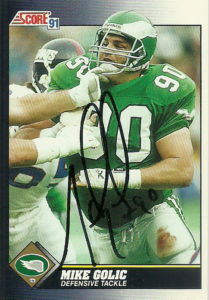 A fearsome and instinctive linebacker, Micheal posted 420 combined tackles, 7 sacks, and 3 interceptions for 5 years, earning first-team All-America Honors in 1992. New defensive coordinator Buddy Ryan wanted some new blood and speed at the linebacker position in Houston. 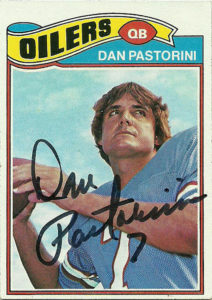 He made smarmy remarks about incumbent MLB Al Smith being too big and slow after watching film of the previous season. 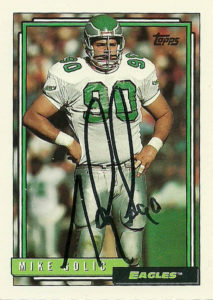 Micheal was actually a surprise selection by the Oilers in the 2nd round of the 1993 NFL Draft. The team was bursting at talent at linebacker with Joe Bowden, Lamar Lathon, Eddie Robinson, Smith, and free agent signee Wilber Marshall. During his rookie year he’d hone his skills behind Al Smith at middle linebacker- who had no intention of giving up his spot. The Oilers acknowledged as much and moved Barrow to RLB in 1994. 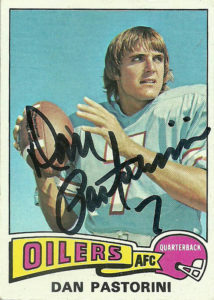 He’d play for the Oilers through the 1996 season. Micheal’s most complete season in Houston occurred that year as he posted 67 tackles, 6 sacks, and 4 forced fumbles. 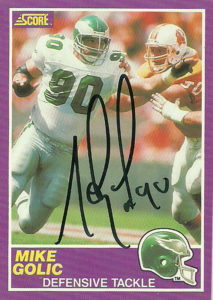 Micheal signed as an unrestricted free agent with the Carolina Panthers in 1997. He picked up right where he left off in Houston recording 68 tackles, 8.5 sacks (career high), and 3 forced fumbles. 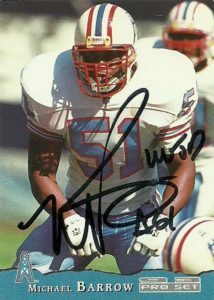 After solid play through the 1999 season, Micheal signed with the New York Giants as a free agent. Among the pantheon of free agent signings in the history of the franchise, Barrow’s signing wasn’t met with much fanfare, however he’d go down as one of Big Blue’s most savvy moves. 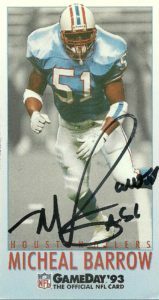 Plugging Barrow in at middle linebacker, Micheal played 5 strong seasons in NY. His best season for the franchise came in 2003 when he posted a career high 109 tackles. After a knee injury ended his one and done season with the Redskins before it even began, Barrow played 2 games in 2005 with the Dallas Cowboys before retiring. Micheal quickly went into coaching scaling the high school ranks and landing at his Alma Mater Miami where he was linebackers coach for the Hurricanes from 2007-2013. In 2015, Micheal joined Pete Carroll’s staff in Seattle as the team’s linebacker’s coach, and in 2017 was promoted to assistant head coach to keep potential suitors away. Finally, another mythic Houston Oiler down. I had tried Barrow way back in 2010 via the Hurricanes, but failed miserably. This request too, I had given up hope on, but after a very long wait, Micheal signed these two cards for me via the Seahawks.